The spirit of Nature is a manifestation of the Universal Essence, immanent in every cell and atom and in the void as a force pregnant with the possibility of forms yet to emerge. 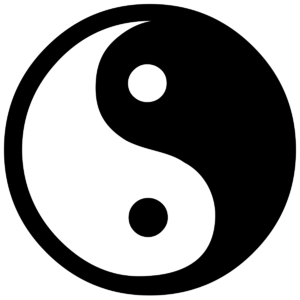 It stirs the wind, moves the waves joyously and makes the Yin and Yang, polar opposites perpetually chase one another like the spokes of a wheel. It makes electrons dance around the nuclei of atoms in differing numbers to give so-called inanimate matter its character and qualities, its form and shape, the appearance of solidity. It engages in the divine play to create levels of reality which appear to change as you go from one dimension to another or from the macrocosm to the microcosm or yet again from one pair of human eyes to another pair of canine eyes or from that to the eight eyes of the spider or the complex eyes of a bee. Reality changes depending on which level you are or through which visual lens it is being perceived and to which type of brain those visual signals are transmitted. The Spirit causes everything to move in circles from the seasons, to day and night as the earth spins on its axis, the solar system as it swings around the sun, the cells in our body as they rush through our circulatory system, the electrons around the neutrons, the waters raining down from the clouds on mountain tops flowing down rivers to the sea, to rise again as vapour and become clouds – all Nature’s circular systems. Even the past into the present and future and dissolution and back to creation are kind of circular. 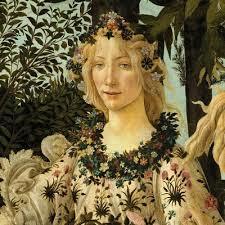 All cultures celebrate this ephemeral force with the rites of spring when it is at its most creative. The big bang is after all its cosmic spring, the rites of creation. At the Quantum level it gets even more mysterious and mischievous, defying definitions and turning matter back to the energy from which it emerged and making a mockery of separate identities and egos, showing that our inherent nature is an energy field connecting each to the other and making us one. We are all that force, each one of us is also the whole, like the drop is the ocean, the trees are the forest. We are Nature, you are the whole of Nature, I am Nature. To celebrate, honour and pay homage to Nature I had penned a poem many years ago which I wish to share with you, who too are Nature. I begin the poem with a sense of my unique individuality like no other ( no one can match my finger prints can they?) but close with the understanding that I am in fact just a part of a whole.